Facebook Home now in the Google Play Store | Android Blast! 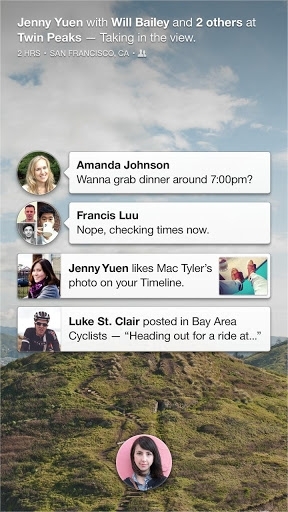 Facebook Home is launching in the Google Play Store today for users of certain Android phones. AT&T's HTC First had the launch exclusive, but now if you are a proud owner of a Samsung Galaxy S III, Galaxy Note II or HTC One X+, you can head over to Google Play or Facebook's website to download Facebook Home. "Facebook Home is the mobile experience that puts your friends at the heart of your phone. From the moment you turn it on, you see a steady stream of friends' posts and photos on your home screen. Upfront notifications and quick access to your essentials mean you'll never miss a moment. And when you download Facebook Messenger, you can keep chatting with friends when you're using other apps."